Our 2.5" lift kit will lift your Scout 80 or Scout 800 a full 2 1/2 inches from its stock height, and is a full suspension lift. 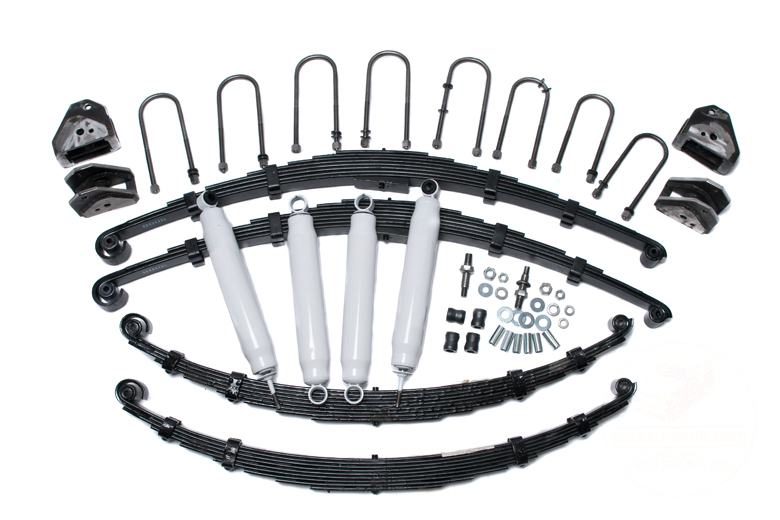 The kit includes all new leaf springs, shocks, spring hanger brackets, u-bolts, and related hardware. 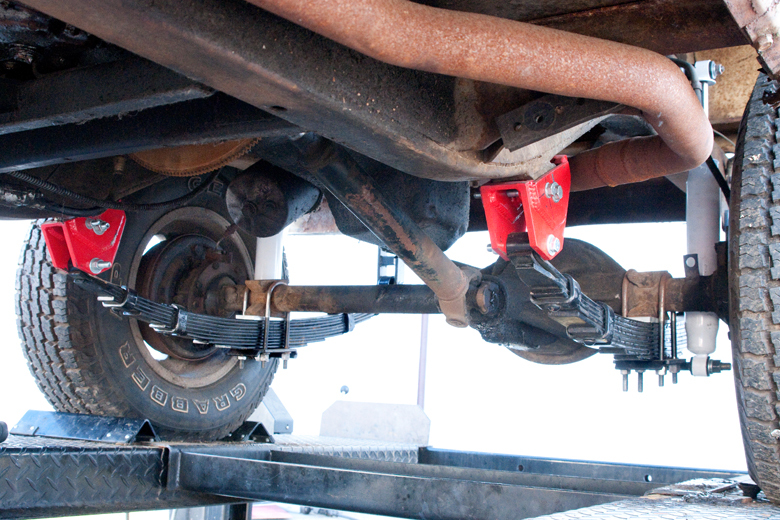 See SP #10240 for the correct shackles to go with this lift kit. Imagine what you could do with a little extra ground clearance! Step two - remove old spring completely. Step three - place new red bracket over the original spring bracket. use bolts provided to hold in place. 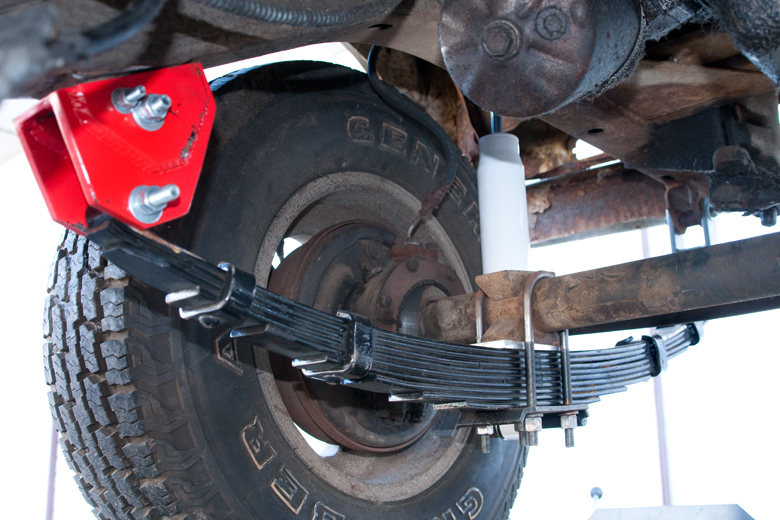 Step four - bolt spring into place using either your new or old shackles.